We are Massivizing Computer Systems, that is, making (distributed) computer systems scalable, reliable, performant, etc., yet forming efficient, engineered ecosystems available to everyone. Our work improves large-scale infrastructure, datacenters, cloud computing, big data, and numerous popular applications in the Digital Economy. Want to learn more? or Want to understand our research? 1. Improve the lives of millions through impactful research. 2. Educate the new generation of top-quality, socially responsible professionals. 3. Make innovation available to society and industry. The inauguration will be available via a live stream as well . The overview of the inauguration seminar can be found here. There are currently no active, open vacancies. Looking for (more) openings? Interested to join or visit? Contact us! The Next Web and Young Creators elected L. Overweel as one of the most-promising under-25s in the Dutch digital scene. 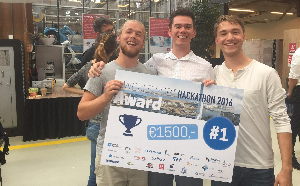 For L. Overweel, D. Vos and W. Raateland, who created a prototype for a blockchain-based solution for smuggling detection in the Port of Rotterdam. 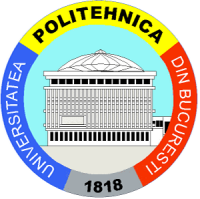 A. Iosup, for computer science research and related activities. For A. Iosup, for research breakthroughs in ICT. For G. Andreadis, for the best grades achieved in the first year at a Dutch institution for academic education. 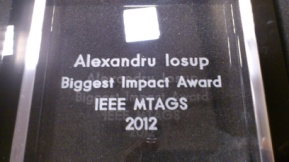 For A. Iosup, awarded by the Minister of Education and ISO. 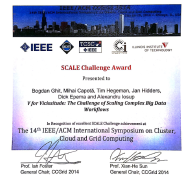 For B. Ghit, M. Capota, T. Hegeman, J. Hidders, D.H. J. Epema, and A. Iosup, "V for Vicissitude: The Challenge of Scaling Complex Big Data Workflows". For A. Iosup, for Technical Leadership ('13) and for Outstanding Service ('12). For A. Iosup, S. Ostermann, N. Yigitbasi, R. Prodan, Th. Fahringer and D.H.J. 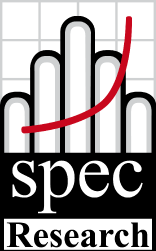 Epema, "Performance Analysis of Cloud Computing Services for MTC-Based Scientific Computing", IEEE TPDS 2011. For D. Kondo, B. Javadi, A. Iosup, D.H.J. Epema, "The Failure Trace Archive: Enabling Comparative Analysis of Failures in Diverse Distributed Systems". For A. Iosup, "POGGI: Puzzle-Based Online Games on Grid Infrastructure". For A. Iosup, "GrenchMark: A Framework for Testing Large-Scale Distributed Computing Systems". For A. Iosup, D.H.J. Epema, T. Tannenbaum, M. Farrellee and M. Livny, "Inter-operating Grids through Delegated MatchMaking". For P. Garbacki, A. Iosup, D.H.J. Epema, M. van Steen, "2Fast: Collaborative Downloads in P2P Networks".